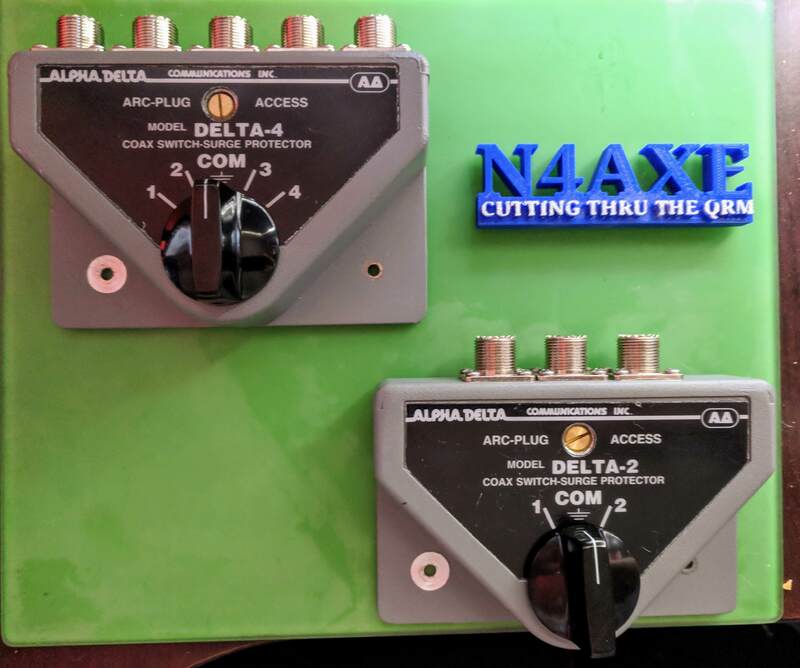 Discussion in 'Ham Radio Gear For Sale' started by N4AXE, Oct 24, 2018. 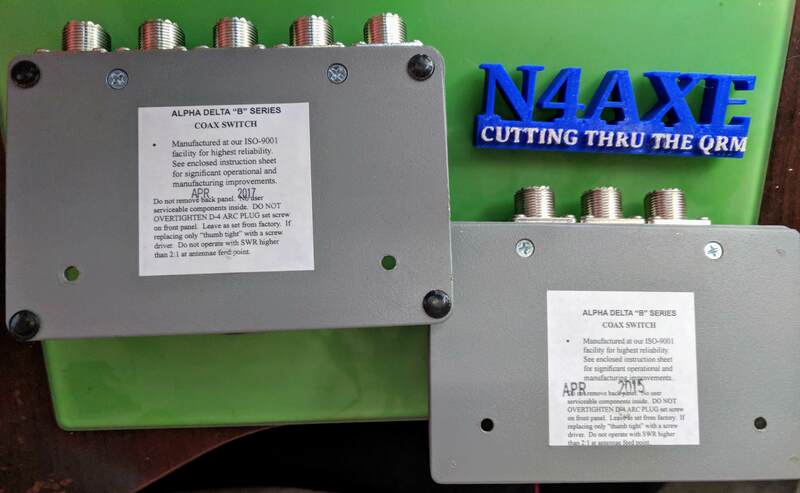 I have two like new Alpha Delta Coax switches. One is the Delta-4B model, and the other is a Delta-2B model. Both are SO-239. Dx sells the 4b for 109.99 and the 2b for 76.99. These were attached to a kf7p Grounding Bus bar in the shack and are extra to my needs. I will ship USPS Prioity mail for CONUS with tracking and insurance. Outside that I will ship at buyers expense. I accept paypal but if you prefer another method of payment and you don't mind waiting for it to clear my financial institution I will ship once cleared. Any Questions or Comments post here, send a pm, or my email on QRZ.